I have a confession to make. I have been horrible with keeping track of my communication log at work. I don't know what my mental block is against writing down when I speak with parents! I decided that I needed a way to have it at my fingertips all of the time. I thought a lot about it, and decided that it could go in my planner. 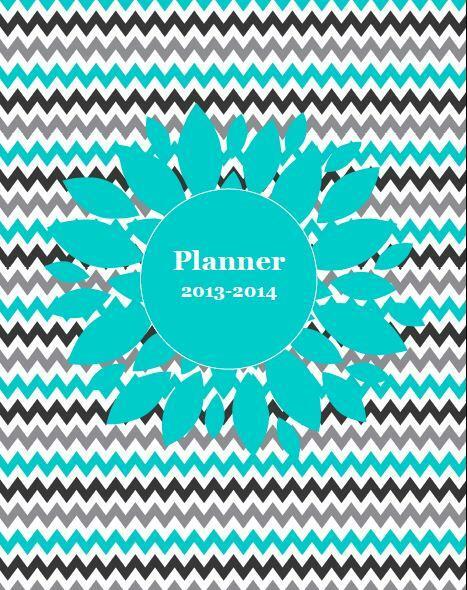 But, I gave up on my planner last year and tried using my iPhone and iPad. I kept track of everything on my devices, but always felt like I was missing the actual pen to paper. 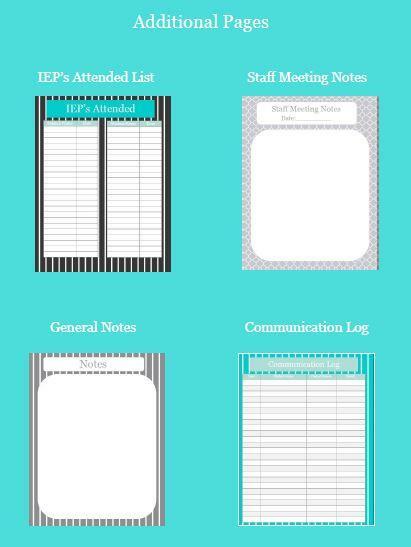 So, this summer, I decided to create my own planner that could also hold my communication log, organize my IEP, Evaluation, and Screening dates, as well as take notes at staff meetings. Everything would be in one place! I had so much fun making my binder! 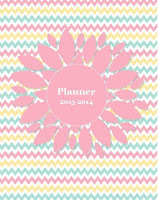 I did not originally make it to put on TpT, but it turned out so cute, that I just had to share. I also go a bit carried away and made a second version from another pattern packet that I had. 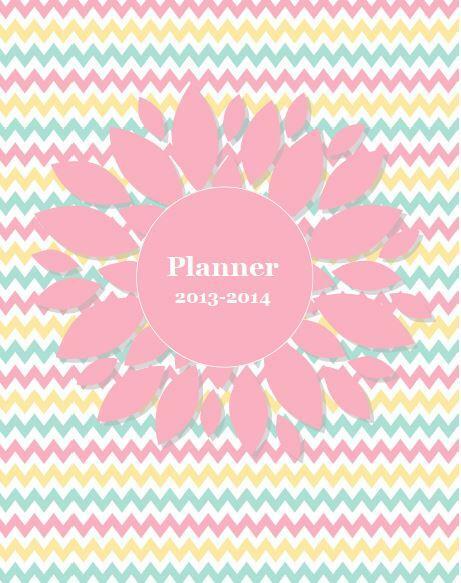 Here it is... my Special Education Planner 2013-2014! 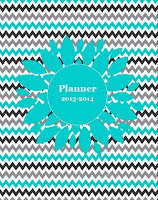 I have a Blue, Gray, and Black version as well as a Pink, Yellow, and Blue version. 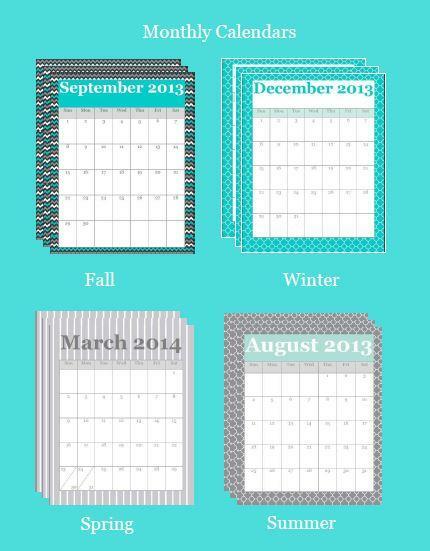 First, the planners have what every planner needs- monthly calendars. The backgrounds are selected by season- Fall, Winter, Spring, and Summer. All of the corresponding pages match these backgrounds in each season. Next, I put in a reminder page. I made one for each season. 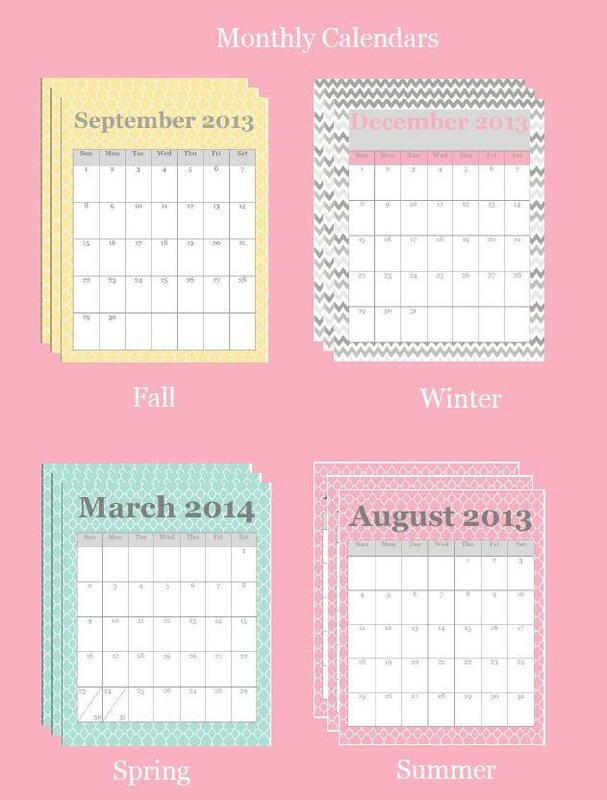 When I printed this, I copied several for each month back to back. 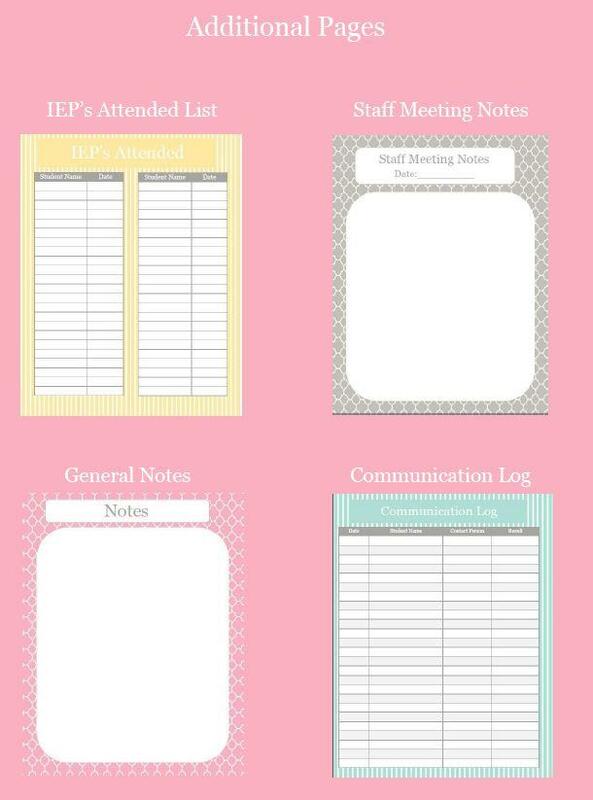 Then, I also wanted a page that would hold all of my upcoming IEP dates, Evaluation due dates, and Screening due dates. 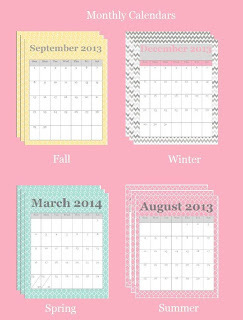 I made one for each month. I also added some additional pages. 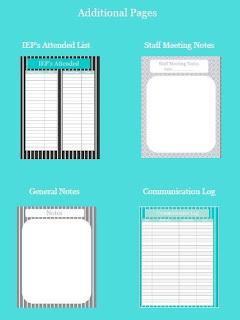 I of course added my communication log, but I also added a page for staff meeting notes, general notes, and IEP's attended. 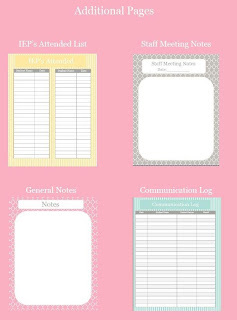 I have seen a few other planners that are geared towards speech language pathologists this summer, so apologies if you feel like you have seen too many of these lately! I was just super excited about how mine came out, and wanted to share it! Here are a few pictures of my finished project. I had it bound at Kinkos for $3.99. I am loving it already! Now to just actually log all of those phone calls! Thanks so much! I was really excited with how it came out and just had to share!